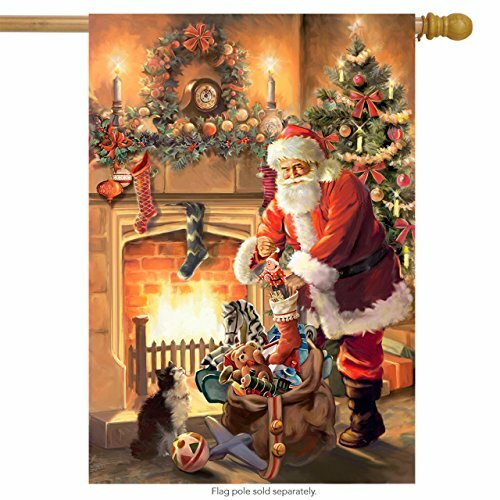 Santa By The Fireplace Christmas House Flag Tree Stockings Toy Sack 28'' X 40'' by Briarwood Lane at 4 The Fort. MPN: H00087. Hurry! Limited time offer. Offer valid only while supplies last.